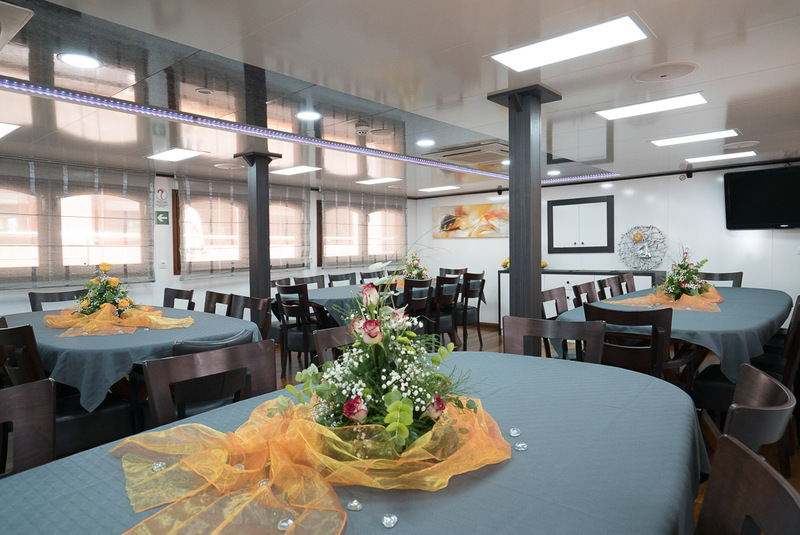 is a new ship, built in 2015. 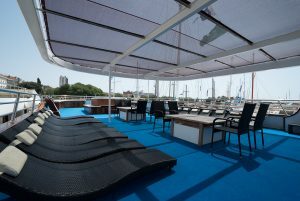 Construction material is steel with mahogany and iroko wood on decks. 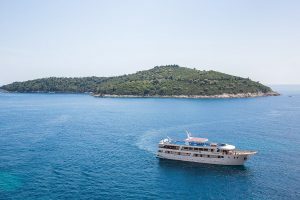 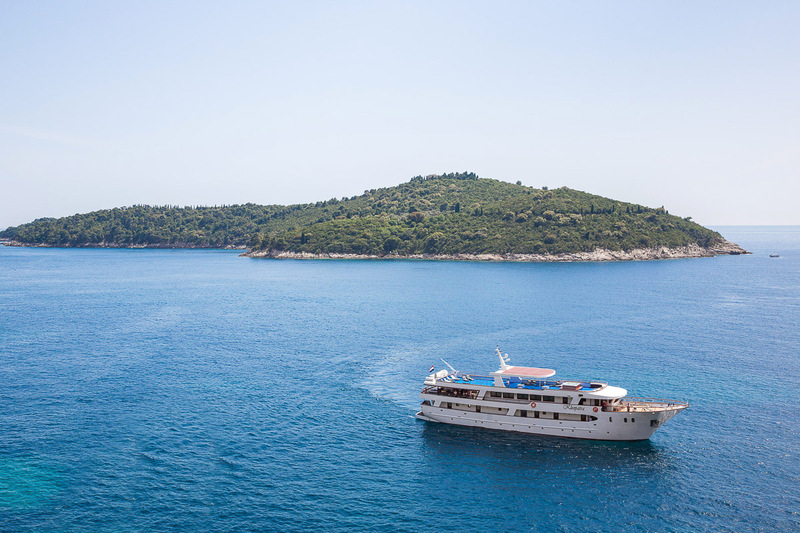 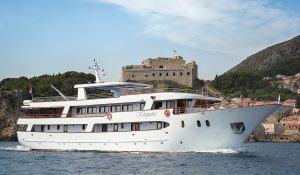 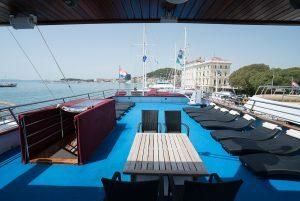 The ship has 19 very spacious cabins with private facilities and air-conditioning providing elegance cruise for up to maximum 38 persons. 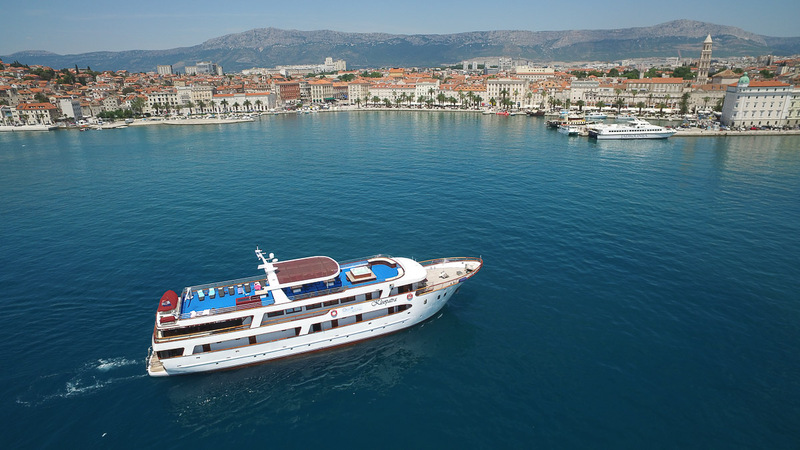 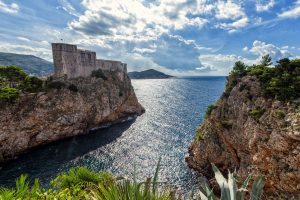 Experienced crew of 6 (captain, two waitresses, chef, two sailors) will make your cruise unforgettable. 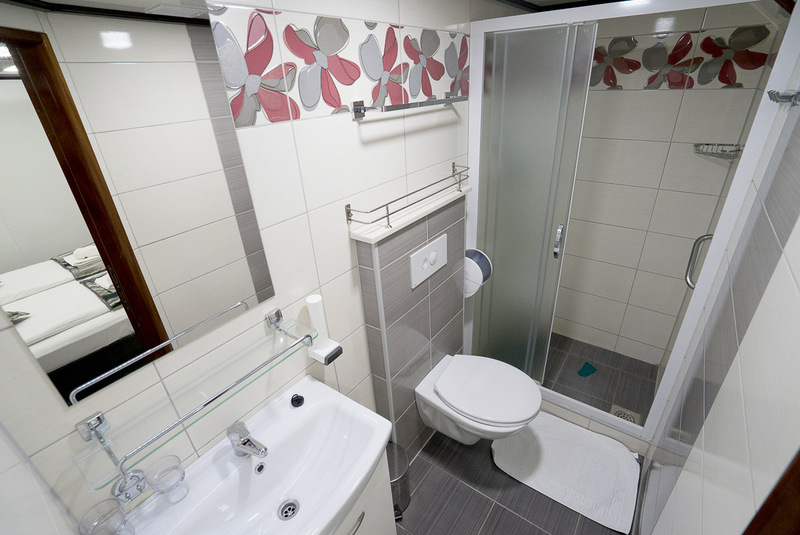 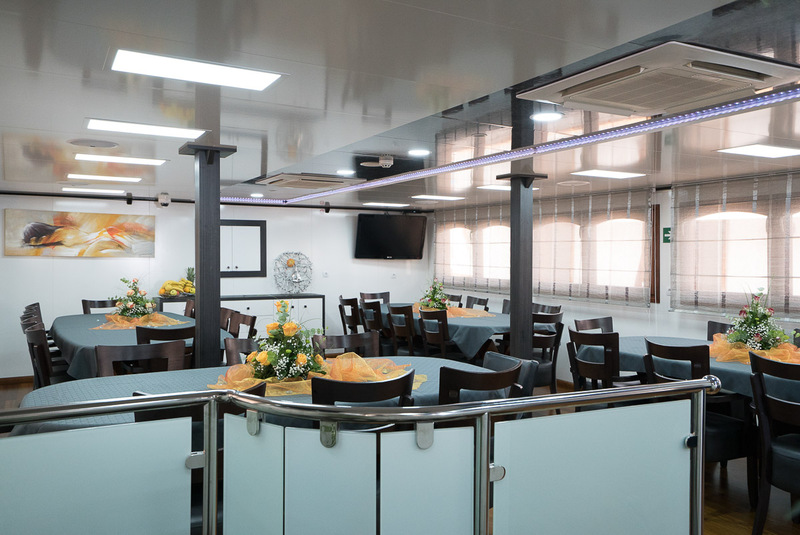 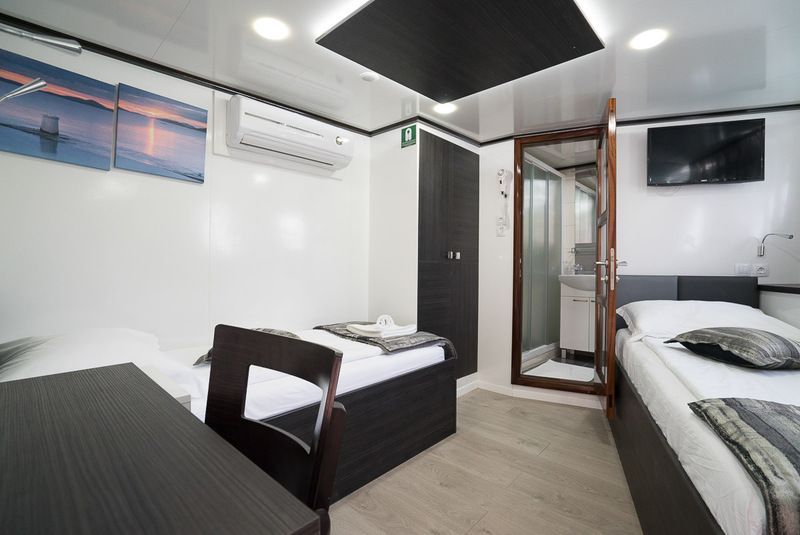 All guest cabins are very comfortable, fully air conditioned, with independent ventilation system for fresh air all the time, conveniently designed with modern private en suites, toilet and shower in cabin. 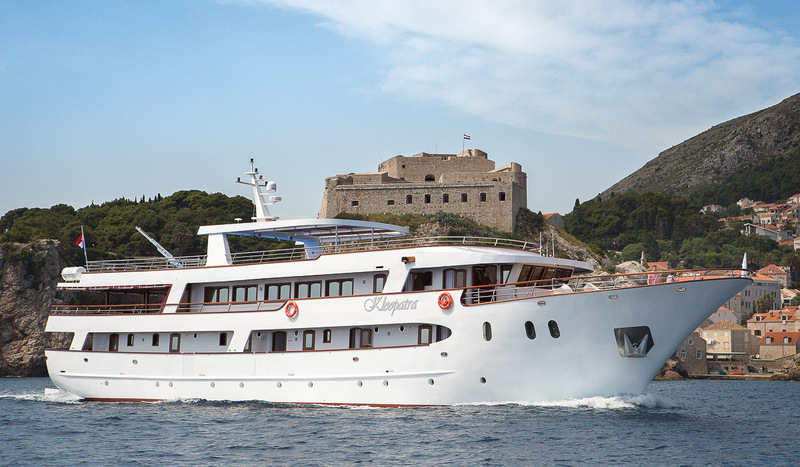 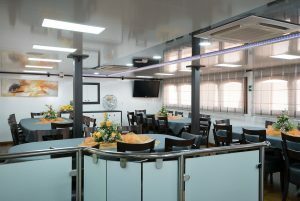 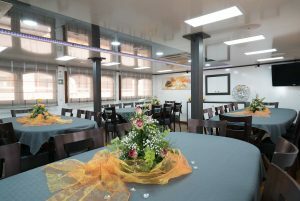 All cabins are equipped with beds in size 79×35 inches or 79×71 inches with independent AC control board, Satellite LCD TV, designed wallboards, working table and chair, couch, mirror, night lamps, safe deposit box, radio, hair dryer, 220 V electric supply, life-jacket, large wardrobe and luggage space under bed, as well as the latest safety & fire alarm and sound system for notifications of a cruise manager or group leader. 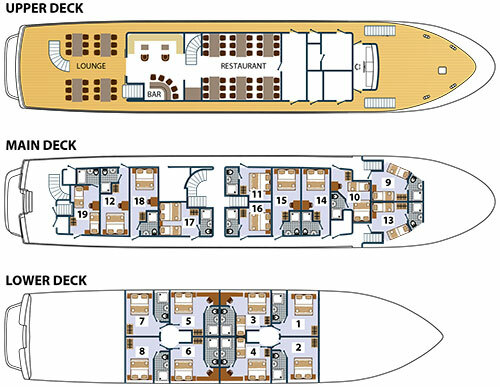 Standard cabins have two portholes and dual ventilation system while main deck cabins have two windows, smaller in bathroom and larger cabin window. Cabins are sound-proof and have fire-proof door. 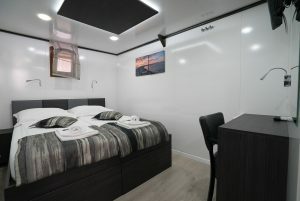 Mostly all of the cabins have possibility to have twin or double bed configuration and some of them a third bed on the floor (not bunk bed). 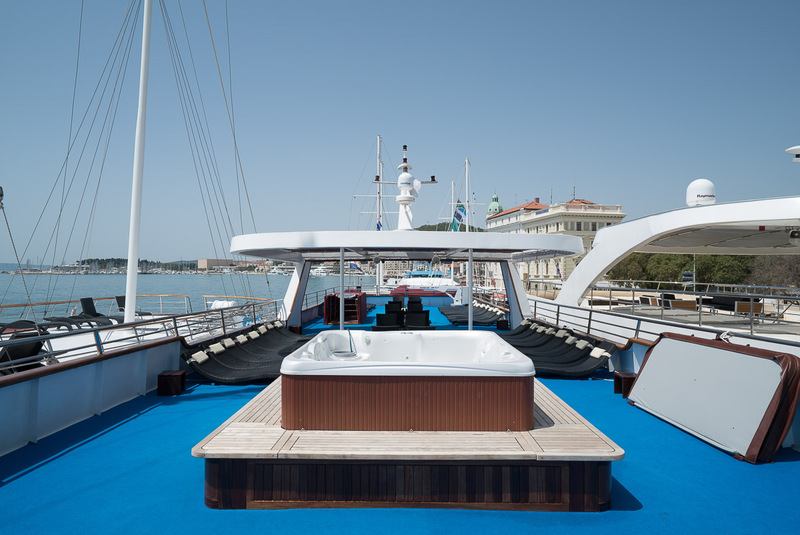 On the high deck is a sun deck that covers 2,691 sq ft with sun-beds for all passengers. 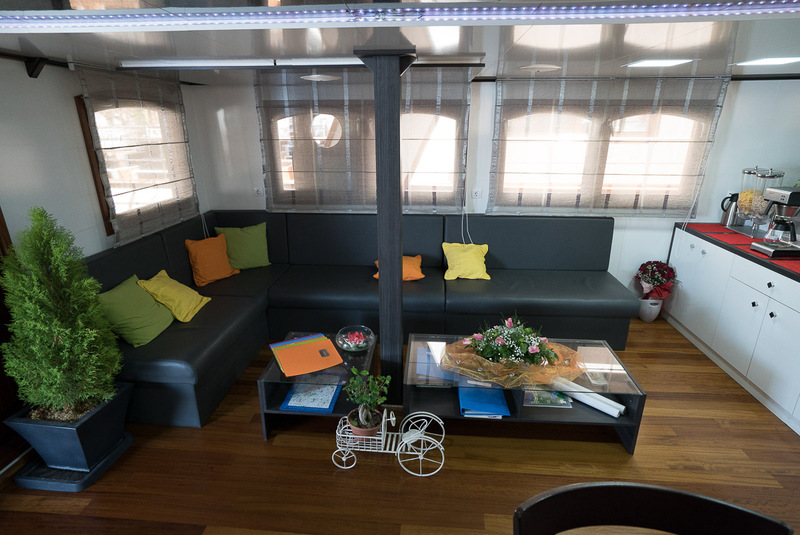 The fence is 41 inch high for the safety of passengers. 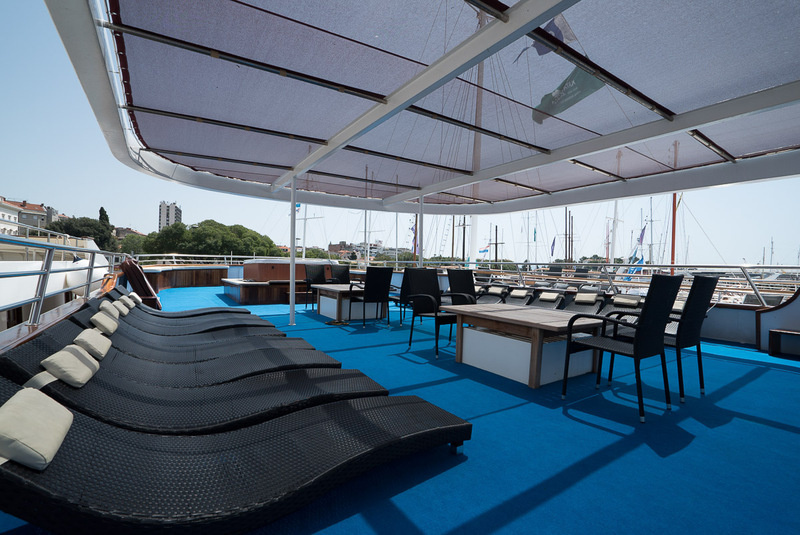 This is the best part of the boat for those who enjoy sunbathing while part of a sun deck is shaded for clients’ comfort. 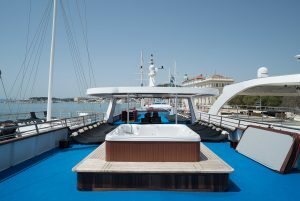 Here you can enjoy our “Elegance Rooftop Jacuzzi“ with its pertaining facilities designed to ensure an unforgettable cruise.